Simon has worked as a physiotherapist for the last 23 years and he has a special interest in lower limb rehabilitation, including hip, knee and ankle joints. He has a particular interest in treatment of Anterior Cruciate Ligament injury. He has been the Consultant Physiotherapist with Netball Singapore for five years and prior to that worked for some 14 years in Australia with both professional and amateur sporting teams. In 2005, the Australian Physiotherapy Association awarded him the accreditation of APA Titled Sports physiotherapist, recognising his advanced capability in the area of Sports Physiotherapy. For the last 5 years he has been one of the only Accredited APA Sports Physiotherapist working in Singapore (incidentally there is another APA Titled Sports Physiotherapist in the practice here as well). 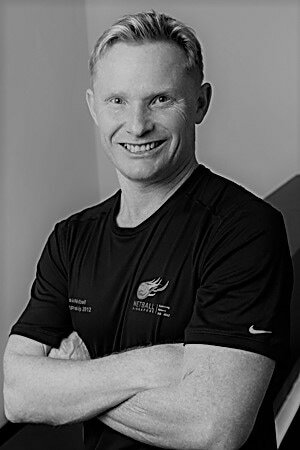 He has worked closely with some of Australia’s leading Sports Physiotherapists, Orthopaedic Surgeons and Sports Physicians and regularly travels back to Australia to spend time with them updating his knowledge and skill base. Simon is a regular lecturer in the area of Sports Physiotherapy speaking to Physiotherapists, Doctors, Coaches and Trainers in Singapore.